With headlines warning us of international terrorism, global warming, and economic uncertainty, we're all likely to be a little more anxious these days. As an everyday emotion, anxiety — the "fight or flight" response — can be a good thing, prompting us to take extra precautions. But when anxiety persists in the absence of a need to fight or flee, it can not only interfere with our daily lives but also undermine our physical health. Evidence suggests that people with anxiety disorders are at greater risk for developing a number of chronic medical conditions. They may also have more severe symptoms and a greater risk of death when they become ill.
Anxiety is a reaction to stress that has both psychological and physical features. The feeling is thought to arise in the amygdala, a brain region that governs many intense emotional responses. As neurotransmitters carry the impulse to the sympathetic nervous system, heart and breathing rates increase, muscles tense, and blood flow is diverted from the abdominal organs to the brain. In the short term, anxiety prepares us to confront a crisis by putting the body on alert. But its physical effects can be counterproductive, causing light-headedness, nausea, diarrhea, and frequent urination. And when it persists, anxiety can take a toll on our mental and physical health. Research on the physiology of anxiety-related illness is still young, but there's growing evidence of mutual influence between emotions and physical functioning. 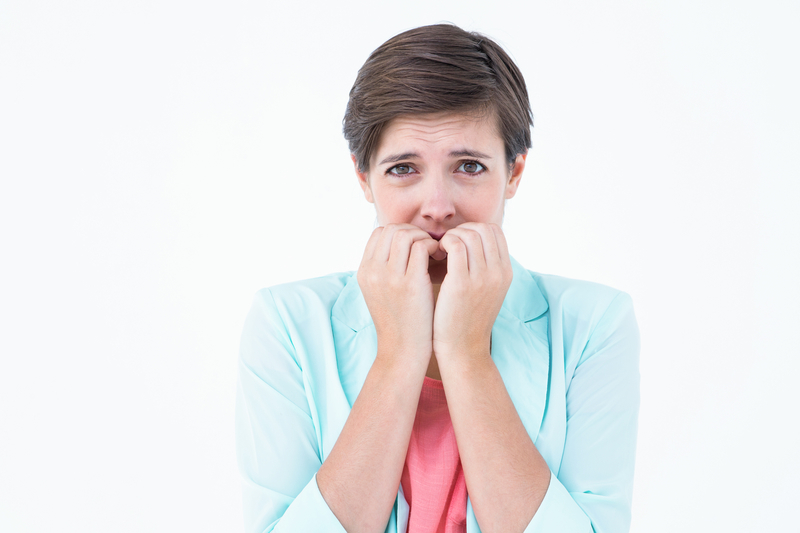 Yet anxiety often goes unidentified as a source of other disorders, such as substance abuse or physical addiction, that can result from attempts to quell feelings of anxiety. And it's often overlooked in the myriad symptoms of chronic conditions like irritable bowel syndrome (IBS) or migraine headache. Nearly two-thirds of the estimated 40 million adults with anxiety disorders are women. What people with these disorders have in common is unwarranted fear or distress that interferes with daily life (see chart). Anxiety also plays a role in somatic symptom disorder, which is characterized by physical symptoms such as pain, nausea, weakness, or dizziness that have no apparent physical cause. Anxiety has been implicated in several chronic physical illnesses, including heart disease, chronic respiratory disorders, and gastrointestinal conditions. When people with these disorders have untreated anxiety, the disease itself is more difficult to treat, their physical symptoms often become worse, and in some cases they die sooner. Exaggerated worry about health, safety, money, and other aspects of daily life that lasts six months or more. Often accompanied by muscle pain, fatigue, headaches, nausea, breathlessness, and insomnia. Irrational fear of specific things or situations, such as spiders (arachnophobia), being in crowds (agoraphobia), or being in enclosed spaces (claustrophobia). Overwhelming self-consciousness in ordinary social encounters, heightened by a sense of being watched and judged by others and a fear of embarrassment. Reliving an intense physical or emotional threat or injury (for example, childhood abuse, combat, or an earthquake) in vivid dreams, flashbacks, or tormented memories. Other symptoms include difficulty sleeping or concentrating, angry outbursts, emotional withdrawal, and a heightened startle response. Obsessive thoughts, such as an irrational fear of contamination, accompanied by compulsive acts, such as repetitive hand washing, that are undertaken to alleviate the anxiety generated by the thoughts. Recurrent episodes of unprovoked feelings of terror or impending doom, accompanied by rapid heartbeat, sweating, dizziness, or weakness. About 10% to 20% of Americans suffer from the two most common functional digestive disorders — IBS and functional dyspepsia (upset stomach). In these disorders, the nerves regulating digestion appear to be hypersensitive to stimulation. Because these conditions don't produce lesions like ulcers or tumors, they aren't considered life-threatening. But their symptoms — abdominal pain, bloating, and diarrhea or constipation in IBS; and pain, nausea, and vomiting in functional dyspepsia — can be chronic and difficult to tolerate. There are no firm data on the prevalence of anxiety disorders in people with functional digestive disorders, but a 2007 New Zealand study of subjects with gastroenteritis (inflammation of the digestive tract) found an association between high anxiety levels and the development of IBS following a bowel infection. In asthma, inflamed airways constrict spasmodically, reducing the flow of air through the lungs. In chronic obstructive pulmonary disease (COPD), inflammation of the airways is exacerbated by a loss of elasticity in the lungs: not only is it more difficult for air to reach the lungs, but the lungs neither fill nor expel air completely. Although results vary, most studies have found a high rate of anxiety symptoms and panic attacks in patients who have chronic respiratory disease, with women at greater risk than men. In several studies involving COPD patients, anxiety has been associated with more frequent hospitalization and with more severe distress at every level of lung function. So even if anxiety doesn't affect the progress of the disease, it takes a substantial toll on quality of life. Anxiety disorders have also been linked to the development of heart disease and to coronary events in people who already have heart disease. In the Nurses' Health Study, women with the highest levels of phobic anxiety were 59% more likely to have a heart attack, and 31% more likely to die from one, than women with the lowest anxiety levels. Data from 3,300 postmenopausal women in the Women's Health Initiative showed that a history of full-blown panic attacks tripled the risk of a coronary event or stroke. Two studies — one involving Harvard Medical School and the Lown Cardiovascular Research Institute; the other, several Canadian medical colleges — concluded that among both men and women with established heart disease, those suffering from an anxiety disorder were twice as likely to have a heart attack as those with no history of anxiety disorders. Cognitive-behavioral therapy. The cognitive component helps people identify and avoid thoughts that generate anxiety, and the behavioral part helps them learn how to react differently to anxiety-provoking situations. The specifics of the treatment depend on the type of anxiety. For example, patients with generalized anxiety disorder or panic disorder may be asked to examine their lives for habits and patterns that foster a sense of dread. They may also be taught relaxation techniques to diminish anxiety. Patients with OCD characterized by excessive washing may be asked to dirty their hands and wait with a therapist for increasingly longer intervals before cleaning up. Psychodynamic psychotherapy. Anxiety is often triggered by a deep-seated emotional conflict or a traumatic experience that can sometimes be explored and resolved through psychotherapy. In the first randomized controlled clinical trial comparing relaxation therapy to psychodynamic psychotherapy (focused talk therapy), clinician-researchers at Columbia University in New York found that panic-disorder patients treated with psychodynamic therapy had significantly fewer symptoms and functioned better socially than those who underwent relaxation therapy. Nearly three-quarters of the psychotherapy group responded to treatment compared with only 39% of the relaxation-therapy group. Anti-anxiety drugs. Benzodiazepines — clonazepam (Klonopin) and alprazolam (Xanax) — were developed to relieve anxiety. They act rapidly and have few side effects except occasional drowsiness. But they're not recommended for long-term use, because patients develop tolerance and require increasing doses. Buspirone (BuSpar) may be a preferred drug. It needs two weeks to take full effect but can be taken for longer periods than benzodiazepines. Antidepressants. Antidepressants, especially selective serotonin reuptake inhibitors (SSRIs) such as sertraline (Zoloft), have been replacing benzodiazepines in the long-term treatment of panic disorder and generalized anxiety. Antidepressants have the advantage of relieving depression as well as anxiety, and they are believed to create less risk of dependence and abuse. Beta blockers. These drugs can help relieve the symptoms of acute anxiety by slowing the heart rate and reducing blood pressure. They are often used, for example, to treat stage fright. About 30% of people with anxiety disorders go through life untreated. If you think you might fall into this category — or if you have IBS, asthma, COPD, or heart disease and haven't been evaluated for anxiety — discuss it with your primary care clinician. Also be open to considering anxiety as the root cause if you have unexplained physical symptoms. Keep in mind that all symptoms are real — and treatable — whether they originate in the body or the brain. By the way, if you're just feeling a little more stress and anxiety than you once did, try some relaxation techniques (for some examples, visit Six relaxation techniques to reduce stress). Is health anxiety linked to heart disease?